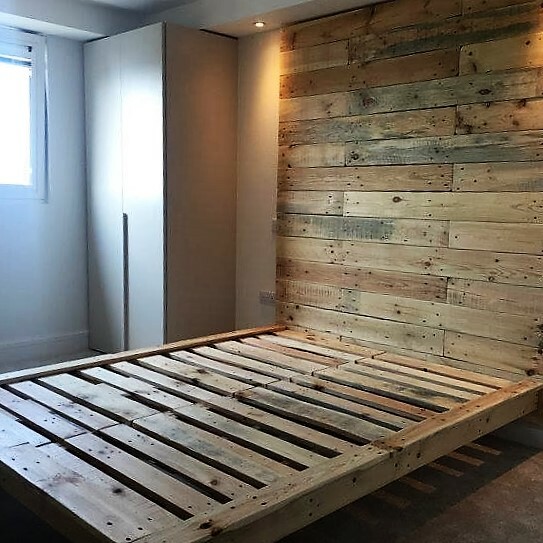 This bed and headboard are constructed to the highest quality and made from industrial pallets and scaffolding boards. Each slat has gone through our three stage hand sanding process eliminating splinters. The wood is then hand stained, to any effect you choose. The headboards pictured have been stained in a clear natural beeswax. 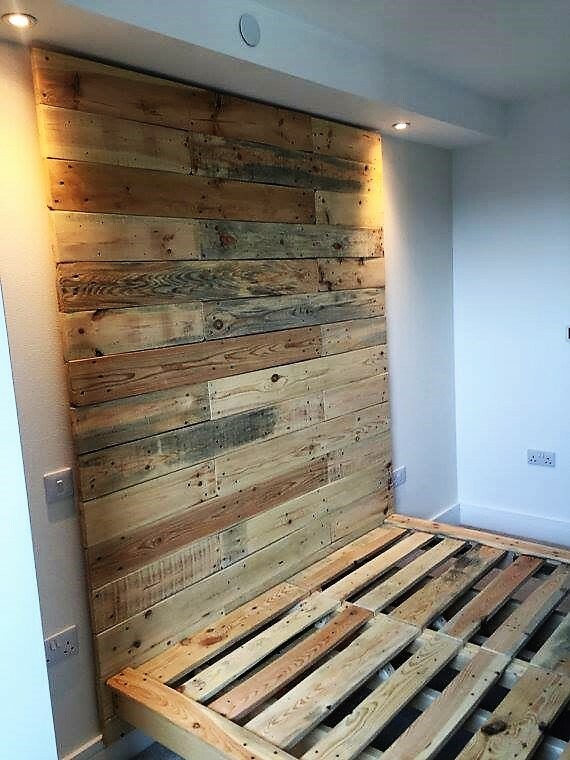 Due to the nature of pallet wood you can expect to see the usual marks, knots and nail heads, these all had to the rustic look of the headboard and make each and everyone completely unique The headboard is mounted onto the wall like a picture and can therefore be taken down with ease whilst still fully assembled. We can build this style of bed and headboard to any dimension you require, please get in touch for a quote, the bed pictured is a king size.